KARACHI: Federal Board of Revenue (FBR) has notified rules to implement Alternate Dispute Resolution (ADR) for reduce the number of tax cases and facilitate taxpayers through settlement without going any court of law. c. any other specific relief required to resolve the dispute. The FBR said that any person or class of persons interested for resolution of any dispute under section 134A can submit a written application for ADR to the FBR in the prescribed form. (c) a retired judge not below the rank of District and Sessions Judge. (h) for any other matter covered under these rules. The FBR said that decision of majority members shall be construed decision of the Committee and the Committee shall decide the dispute within 120 days from the date of receipt of order of withdrawal from the Board and communicate the same to the FBR, the Commissioner and the applicant. The Rule also made it clear that the decision of the committee shall be binding on the Commissioner and the aggrieved person. The FBR also prescribed payment structure for chairman and members of ADR committee. 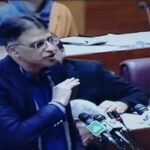 It said that the Chairman of the Committee shall be paid a lump sum one-time remuneration of seventy five thousand rupees or four percent of the disputed tax demand, whichever is less. The member of the Committee shall be paid a lump sum one-time remuneration of fifty thousand rupees or three percent of the disputed tax demand, whichever is less. The FBR said that the remuneration shall be paid by the board from its budget allocation within fifteen days of the receipt of the order.